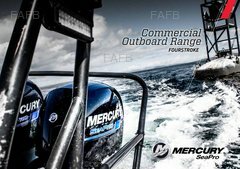 Mariner outboards continue to be the first choice for commercial users. 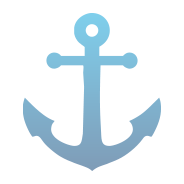 Leaders in outboard engine technology, Mariner has the most advanced and broadest range of outboards available. With an awesome reputation for reliability and durability, the latest engines deliver an unsurpassed reputation for smooth power, fuel efficiency and emission levels. 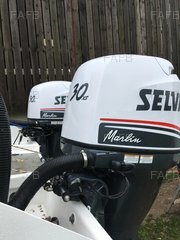 New Mariner Marathon, a dedicated range of commercial outboard engines that offer a high displacement, low horsepower solution for the commercial market. The range includes 2.1 litre, 50hp and 60hp models and a 3.0 litre, 90hp option. These engines are designed to provide increased durability and longer life in demanding commercial applications without sacrificing power. TOHATSU OUTBOARD Special offers £563 Bournemouth Dorset. Shipping Throughout The UK. NEW TOHATSU MFS25C EFI £2,695 Bournemouth Dorset. Shipping Throughout The UK.